The Internal Courtyard is located just off of the main bar with exclusive hire available until 1am. This space can host a sit down dinner for up to 30 guests making it the perfect spot for an intimate wedding breakfast or special occasion. 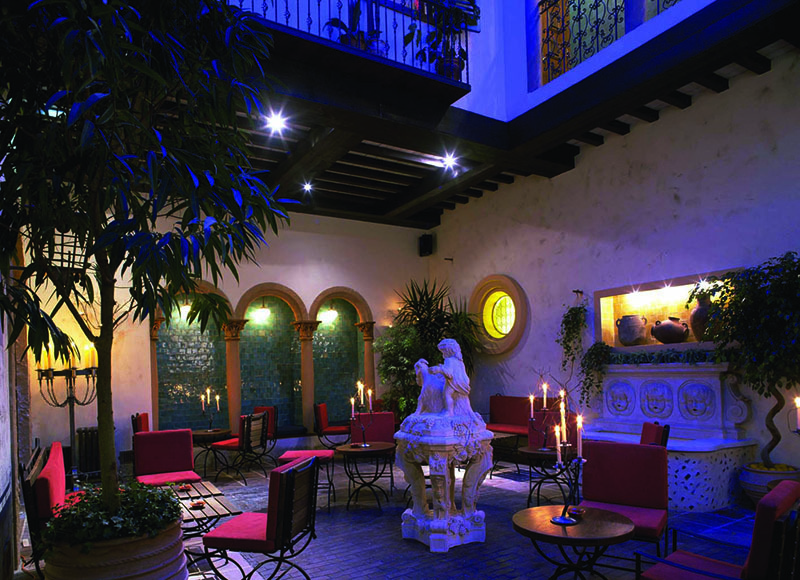 Alternatively, if you prefer a most casual affair our Courtyard can hold up to 60 people for a buffet and drinks. Complete with a ceiling of twinkling lights, traditional cobbled flooring and a fountain; this is a Mediterranean dream – a little bit of the Spanish outdoors indoors!